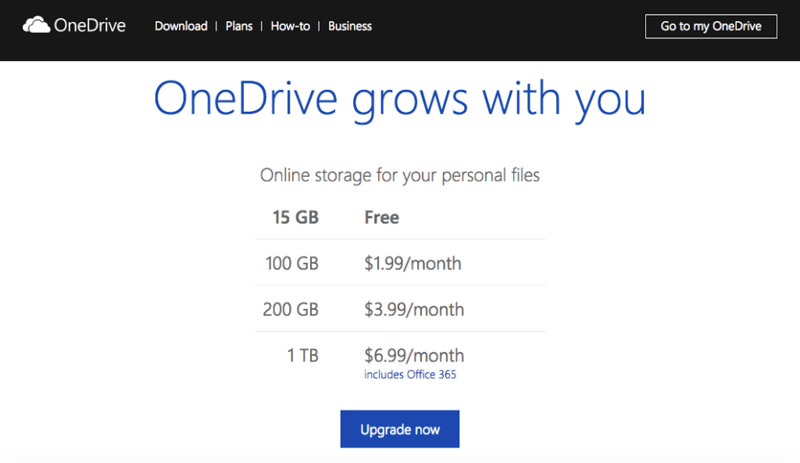 What will happen: if Microsoft starts offering OneDrive as ‘unlimited cloud storage’ to every user for ‘free’? The SkyDrive inventor Microsoft currently possesses the beauty of cloud with Windows Azure and OneDrive. Where Windows Azure deals with every part of cloud IaaS, PaaS & SaaS specializing for every class of companies and developers, in other words exclusively for business players and geeks. But OneDrive the new name of SkyDrive is exclusively for consumers or end users. Currently Microsoft offers 15GB of cloud storage with every Hotmail / Windows Live / Outlook accounts but any user can buy more storage up to 1 TB at $6.99 per month including Office 365. Imagine if Microsoft start offering actually unlimited space on OneDrive for free of cost with each Outlook / Hotmail / Windows Live account. Then world will surely start migrating only to OneDrive whether it is business or personal use. There are so many features and services such as file syncing, mobility, creating and editing documents, playing music and videos etc. that matter a lot to the user with file storage. With this Microsoft is already dealing very positively as they are providing interoperable apps across devices and Office Web Apps are really awesome to create and share documents, presentations and spreadsheets on-the-go. So, people will start backing-up their music, videos and entertainment files on OneDrive only. Even though Microsoft can implement OneDrive as an OS for future PCs and mobile / tablet devices, in which there will be no HDD or SSD you just log in and start working straight away in the cloud mode. Then imagine future will have no piracy, increased security, no bothering of data loss in case of device theft or stealing or damage. For business also there will be a massive return on investment as they won’t be buying heavy licenses for media apps, office productivity suite and sharing among the team will be much easier then every before. Accounting will be just a matter of few clicks. That can totally convert the face of every business unit with a great transformation. So, I can’t wait to see this future where working and entertainment will be merged together for everyone. But does this mean massive Gmail, Amazon Cloud Drive & DropBox users will migrate to Outlook and OneDrive? There is no straight answer in regard to it. But surely that can give a big diversion among all the cloud providers. Cloud Vendors will also go for OneDrive only to provide corporates the 0% downtime cloud storage. Well, Microsoft already claims 400 Million active users / accounts, but does this actually means that there are currently 400 Million active OneDrive users too? Well, that can be an assumption. But for sure Microsoft is one of the leading consumer based cloud storage provider and this kind of offering can change the whole cloud game. Competition will be then depends only on the basis features, services and fast performance.